Beautifully simple, this 9ct white gold 4mm band features both matt and polished finishes to create a strikingly elegant unity. Ideal as a wedding ring, this is the perfect finishing touch to your special day. 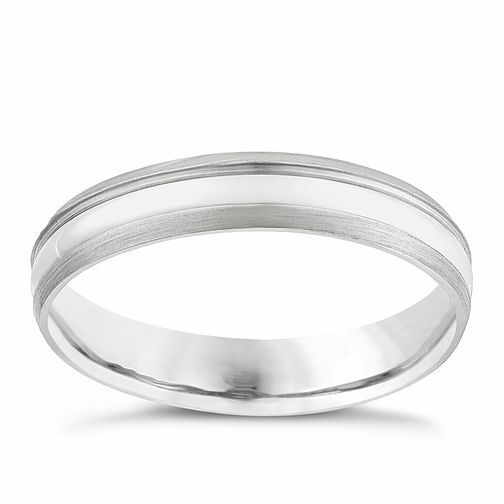 9ct white gold 4mm matt and polished ring is rated 5.0 out of 5 by 1. Rated 5 out of 5 by Anonymous from Photos don't do the ring justice This ring looks so much better in person. Love the matte finish round the edges. My other half is really pleased with this and can't wait to wear it.